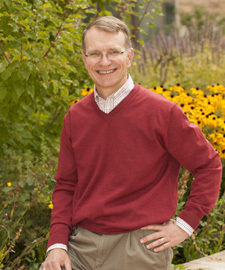 Dr. Peterson received his Ph.D. in marketing from Georgia Tech in 1994 and joined the UW faculty in Fall 2007. He worked as a quantitative research analyst in the marketing research industry for two years after graduating from Georgia Tech before beginning his academic career at the University of Texas at Arlington in 1996. At UT-Arlington, Dr. Peterson developed the qualitative research course for students in the Master of Science in Marketing Research program. He taught this course for ten consecutive years. In these ways, Dr. Peterson brings a rare versatility to research design issues. He has extensive experience using quantitative, as well as qualitative approaches. Dr. Peterson is the author of the SAGE Publications book Sustainable Enterprise: A Macromarketing Approach www.sustainabilitysage.com. He currently serves on the editorial policy board for the Journal of Macromarketing and was elected to be the editor of the Journal of Macromarketing beginning in January 2016. Dr. Peterson was a Fulbright Scholar at Bilkent University in Ankara, Turkey in 2006. He has also taught as a Senior Fulbright Lecturer for the US State Department in Damascus, Syria, in UTA's Executive MBA program in Beijing, China, at Southern Methodist University, and at Ecole des Hautes Études Commerciales de Montréal. During the 2014 - 2015 academic year, he was a visiting professor at Wake Forest University. Claudy, Marius C., and Mark Peterson. “Understanding the Underutilization of Urban Bicycle Commuting: A Behavioral Reasoning Perspective,” Journal of Public Policy & Marketing, 2014, Vol. 33, No. 2 (Fall), 173-187. Peterson, Mark, “Social Enterprise in an Era of Sector Convergence”, Journal of Ethics and Entrepreneurship, 2014, 5 (1): 5-25. Johnson, Devon and Mark Peterson, “Consumer Financial Anxiety: US Regional Financial Service Firms’ Trust Building Response to the Financial Crisis”, International Journal of Bank Marketing, 2014, 32 (6): 515-533. Peterson, Mark. “Interviewing International Students to Understand the Process of Expatriate Acculturation”, Marketing Education Review, special issue on Teaching Innovations, 2014, 24 (1): 59-64. Claudy, Marius, Mark Peterson, and Aidan O’Driscoll. “Understanding the Attitude-Behavior Gap for Renewable Energy Systems Using Behavioral Reasoning Theory”, Journal of Macromarketing, 2013, 33 (4): 273-287. Bishop, Melissa and Mark Peterson, “Comprende Code-Switching? Young Mexican Americans’ Responses to Language Alternation in Print Advertising”, Journal of Advertising Research, 2011, 51 (4): 648-659. Khavul, Susanna, Mark Peterson, Drake Mullens and Abdul Rasheed, “Going Global with Innovations from Emerging Economies: Investment in Customer Support Capabilities Pays Off”, Journal of International Marketing, 2010, 18 (4): 22-42.